Nothing is more important than the safety of your family, your home, and yourself. That ´s why we ´ve developed this comprehensive checklist of guidelines you can follow to stay safe. From your kids, to your parents, to your home or business, what follows are invaluable tips on how to make your life as safe and secure as it can be. Street smarts: Keeping your kids safe. “Streetproofing” your children is one of the most important safety measures you can take. Here are some easy to follow guidelines to ensure your family ´s safety. Take the time to teach your children safety rules in a clear way that they can understand. Keep a current photograph of your child on hand. Practice creating a complete and specific description of your child, so you ´ll be ready if the need arises. Take a minute every day to make note of what your child is wearing when he/she leaves the house. Develop family check-in procedures so you always know where your child is, and your child knows where you are. Make sure you know the route(s) your children use to get to and from school or their friends ´ homes. Take a “safety walk” with your children over routes they often travel. Help them understand how to avoid potential trouble, e.g., staying away from unlit, remote or hidden areas. Help your child understand who or what a stranger is. Teach your child what to do if approached by a stranger. Keep a list of your children’s friends and their parents’ names and phone numbers. We know your family ´s safety is your top priority. The best way to make sure they stay safe is by talking about the points we ´ve listed above, over and over again. Make sure everyone in the family understands how important it is to follow the family safety guidelines. 1) Saw a stranger entering a neighbor’s home while the neighbor is away, someone crossing your yard or a neighbor’s yard, anyone trying to open a neighbor’s door, or a moving truck or van pulling up to open a neighbor’s home while they are away? 2) Heard the sound of breaking glass? (a) Call the neighbors and conduct your own investigation. (b) Call the police4) Saw a suspicious-looking vehicle parked illegally for a period of time, or suspicious-looking people loitering around schools or parks in neighborhoods where they don ´t belong? (a) Conduct your own investigation. (b) Call the police6) Saw people involved in a fight or heard loud explosions or suspicious screams? (a) Try and break up the fight yourself. The correct answer is always [b] “Call the police.” No matter how silly it sounds, the old adage “better safe than sorry” are words to live by. Never hesitate to make the call. As long as you “call responsibly” you’ll always be better off than trying to take matters into your own hands. While no home is completely burglar-proof, most burglars are attracted to an easy target. Your secured home is much less appealing than the one down the block that isn’t protected. There are many precautions you can take to reduce the risk of burglary, but the key to prevention is to be proactive. Trim shrubs and trees that obscure windows and doors. Make sure all the entrances to your home are well-lit. Keep all doors, including garage doors, closed and locked at all times, even when you ´re at home. Make sure that openings like crawl spaces, skylights and vents are properly protected. Install a peephole viewer on the main entrance door. Install adequate locks on all windows and exterior doors. Post your house number clearly and keep it well-lit at night. This will help the police respond to an emergency or assist in the reporting of one. Consider installing a monitored security system to protect against burglary and fire, and aid in personal emergency. A security system adds substantial protection and cost savings. 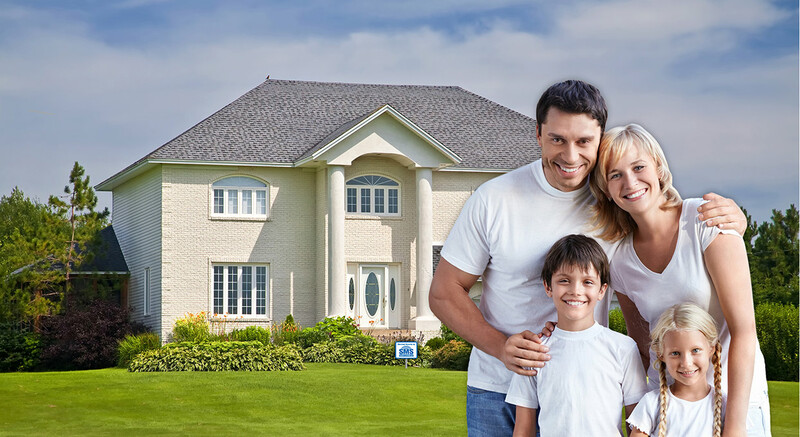 Most insurance companies offer homeowners a 10% – 20% discount on their premium for having a monitored security system. Clearly mark your valuables with an identifying name or number. Your local police may be able to assist you with obtaining an engraver. Establish a security closet inside your house for storing valuables. The closet door should be as secure as your exterior doors, with a dead bolt lock and pinned hinges on a metal or solid wood door. Be a good neighbor. Watch out for suspicious activity on your block and call for help immediately when you observe it. Taking the right steps to secure your home makes it difficult for a burglar to break in. A well-secured home combined with a 24-hour monitored security system creates one of the strongest deterrents available in the common market today. With a SMS Security Systems installation you ´ll enjoy its reliable performance, its ease of operation, and the cost savings on your insurance premiums. Above all, you ´ll enjoy the endless benefit that SMS Security Systems bring to your home – you ´ll experience a whole new level of absolute safety, comfort and peace-of-mind. Don ´t give the parking lot attendant all your keys – just leave the ignition key of your car. Avoid parking near a van. If attacked, no one would see you. Check under your car as you approach from 20 to 30 feet away. As you prepare to enter, look in the back seat and to the side. Once you ´re inside the car, lock the doors immediately. Know the neighborhoods where you live and work. Check locations of police and fire stations, public telephones, hospitals, restaurants, gas stations and stores that are open late. Avoid using bank machines at night. Don’t wear headphones while walking or jogging. You won ´t be able to hear if someone is following you. Never drive home if you think someone is following you. Go to the nearest police or fire station or open business to get help. 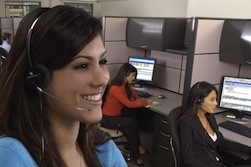 A security system from SMS is the best way to protect your business, your employees, and your future. From burglar and fire alarms to access control, all of our products are of the highest quality and incorporate the most innovative features in the industry. Many of our commercial systems have a partitioning capability that lets you protect specific areas, while allowing access to other locations . For example, you may have a company where the office closes early but the warehouse works late. Partitioning will allow employees to move freely throughout the warehouse area, while keeping the office area out of bounds. 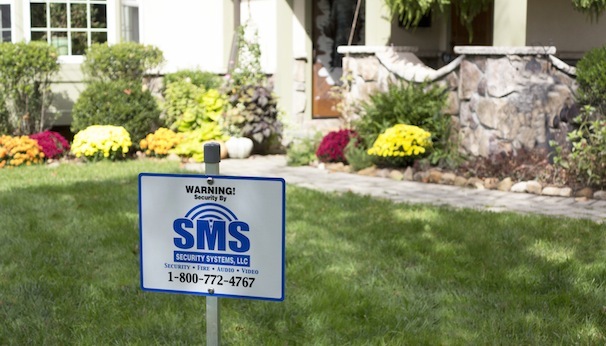 With a SMS security system you can identify the exact source of a problem. For example, in an area with four doors, the system can identify the exact door that has been violated and can notify the central station which monitors your property. This helps direct the police to the source of the intrusion. In the event of fire, this feature could very well take on a life-saving quality – firefighters will know the exact point of origin, therefore saving valuable life-threatening minutes. 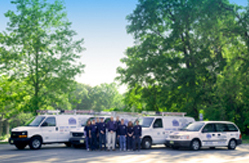 SMS Security Systems offers a variety of supervised smoke detectors, in hardwired and wireless versions. Our systems enable you to comply with your local fire regulations. Costly water damage can be significantly reduced with our water flow supervisory systems. The system can be programmed to alert the central station whenever water begins to flow through a sprinkler. It never hurts to be alert and cautious at all times. At SMS Security Systems, we can answer all your questions and help you determine what system would be the best for your needs and budget, for your home or business. Just wanted to take a moment to let you know how impressed I was with your Service Tech, Rich Knight. As you are well aware, Rich was updating the security system at my home last week whereby he ran into a problem that seemed unsolvable. Rather than giving up, Rich persevered and seemingly found a way to make the security system do exactly what I needed done. Prior to leaving my home, we tested and it seemed to work well. I thank Rich for his expertise and most importantly, his perseverance. I thought you should know about the quality of Rich’s workmanship.